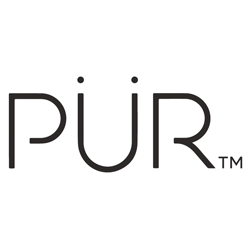 Pur Cosmetics is a high-performance makeup and skincare brand offering cruelty-free, talc-free, paraben-free, gluten-free, petroleum-free, mineral oil-free, vegan-friendly, sodium-free options. If that wasn’t a big enough tongue twister… the beauty brand provides these forward-thinking makeup products across several categories and offers a pro artist program giving professionals special members-only benefits and discounts on their products. The Pur Cosmetics affiliate program provides an estimated 8% commissions on qualified sales. The program is offered through Commission Junction and ShareASale. The program includes all your usual set of affiliate tools and features you’d come to expect with a leading brand in the beauty niche. Join and you’ll find creative assets, link generators, and access to a passionate management team there to help you succeed. The Pur Cosmetics brand and its partner program have good, all-around commission opportunities. The program offers incentives for their partners through regular specials/sales, free coupons, and more. This is a great fit for beauty websites but even better for Instagram influencers. The on-going set of Pur Cosmetics offers and promotions has helped this cosmetics brand grow rapidly and set itself as a market leader. Partnering with the brand could prove profitable with its refined product catalog and focus on influencer marketing. Do pay attention to which platform you’re joining through (CJ gives the best commission rate). In all, Pur can fill those much-needed gaps compared to other beauty brands with less focus on the little things. The Pur cosmetics affiliate program provides an ample mix of quality makeup products for your audience.